UNIST graduate student, Ju Mi Park (third from the left) has been selected to receive the Asan Foundation Medical Bioscience Scholarship. 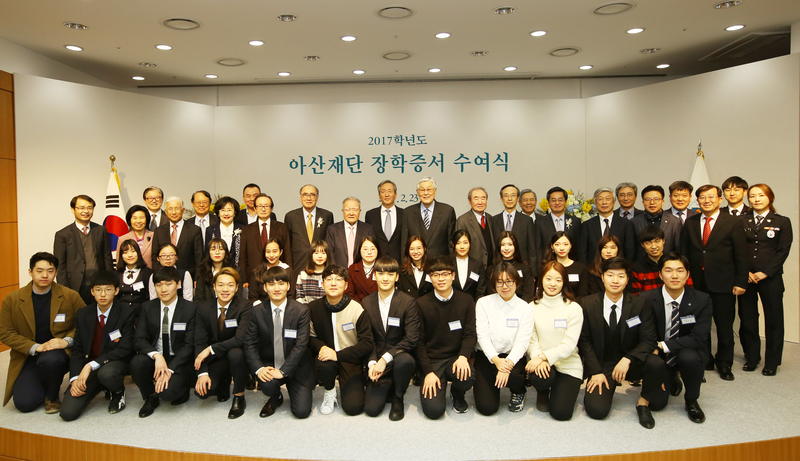 2017 Asan Foundation Scholarship Award Ceremony, held on February 23, 2017. Ju Mi Park, a combined masters/doctoral student of Life Sciences at UNIST, has been selected to receive the 2017 Asan Foundation Medical Bioscience scholarship in recognition of her excellent academic performance. This scholarship fund is given to graduate students in medical bioscience and has been first introduced this year. It is designed to nurture excellent human resources to lead the medical bioscience field of Korea. Ms. Park will receive over 80 million KRW in scholarship for up to four years. 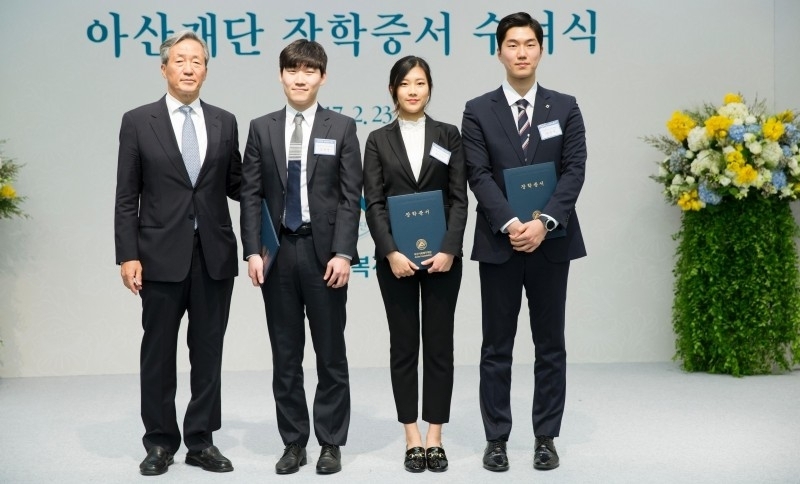 The Asan scholarship award has been in continuous operation since the Asan Foundation was established in 1977 and has provided scholarship funds totaling 60 billion KRW to over 29,000 students to date. It is awarded based on the strength of candidates’ academic performance, leadership excellence, and demonstrated passion for their respective field of study. Ms. Park was chosen because her undergraduate research projects (EMBO Reports , 2016; first author, ACS synthetic biology, 2016; second author), which were published in prestigious SCI journals. 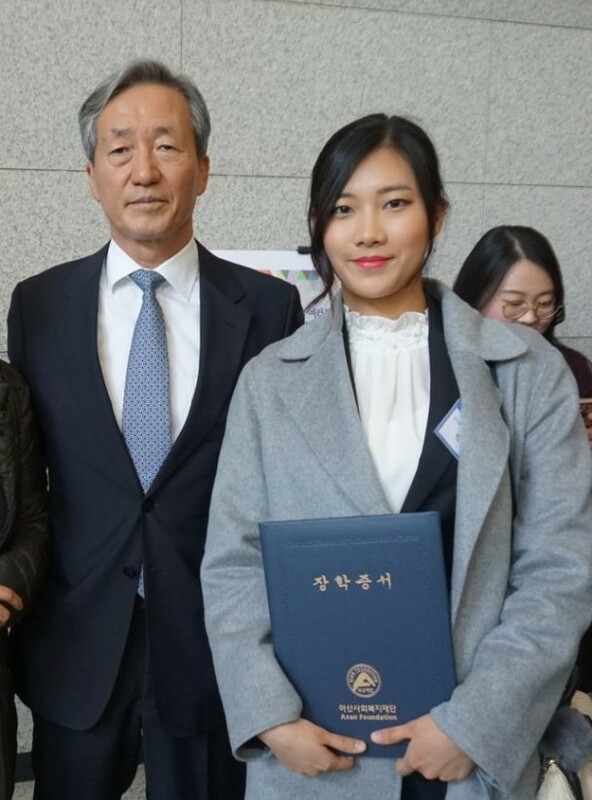 Ju Mi Park (right), a combined masters/doctoral student in Life Sciences at UNIST is with the chairman Mong-Joon Chung (left) of Asan Foundation. The award ceremony took place in the auditorium of the Asan Institute for Life Sciences on Thursday, February 23, 2017. At the ceremony, five billion KRW (approx. $4.5 million US) in scholarship funding was awarded by the foundation to a total of 1,476 recipients that included 660 high school students, 569 undergraduate students, 17 graduate students, and 230 children of MIU (Men in Uniform), including military personnel, police officers, firefighters, and coast guard personnel.